Hayley + Alex’s engagement photos are SO stunning. 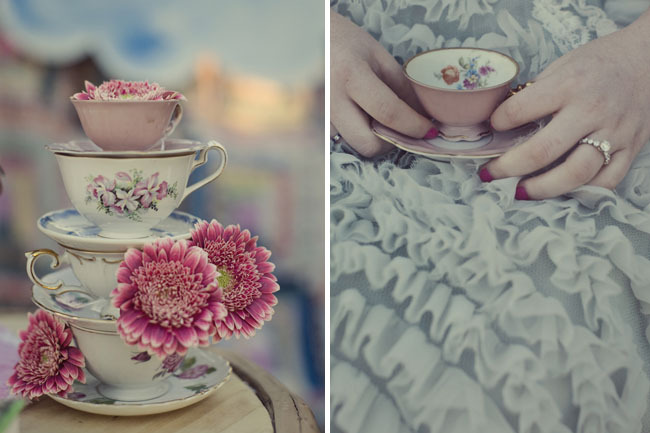 They were inspired by Hayley’s grandmother’s tea cup collection, her old alice storybook and their wedding theme of “love & happiness.” Photographer Joy of Wildflowers Photography always manages to capture a whimsical vibe with her couples. I also am completely obsessed with the sea foam blue dress Hayley is wearing. Joy found it in a little thrift shop in Austin, TX. It is an authentic 50’s dress – what a great find! 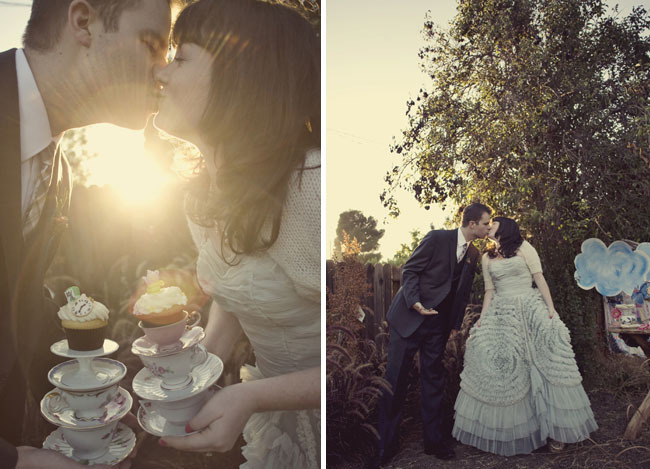 The cupcakes were custom made by the cupcakery in thousand oaks, ca and the shoot was photographed in Joy’s backyard. 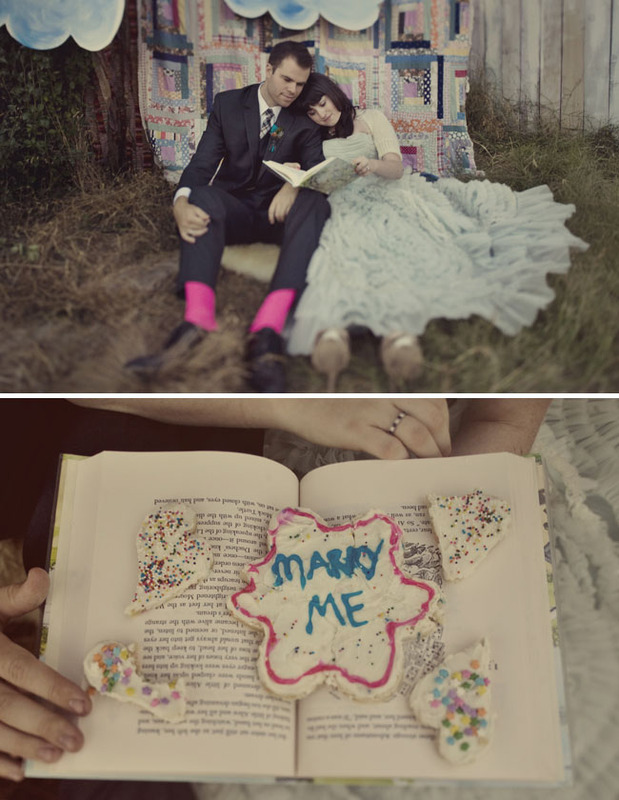 How perfect are those bright pink socks! love them. 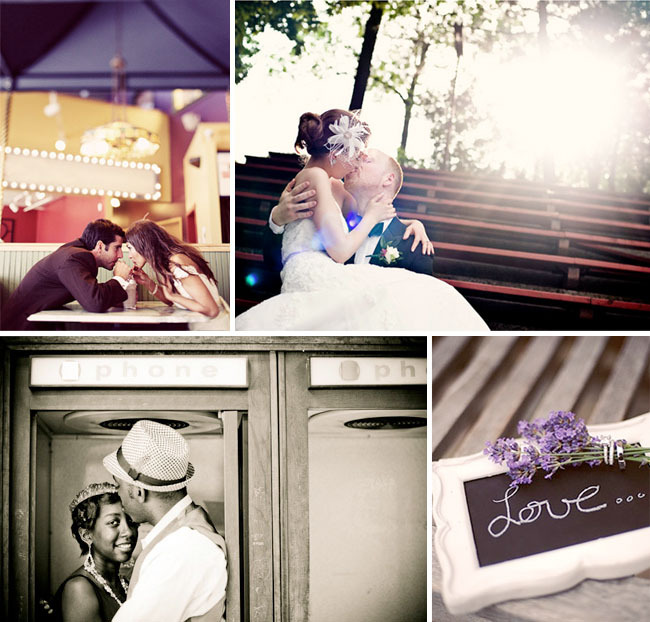 Thanks so much Joy for sharing your beautiful photos with us and congrats to Hayley + Alex! This is a perfect example of pulling inspiration from your favorite book and objects that have sentimental meaning, but done in the most amazing way. I’m sure Hayley + Alex will cherish these photos forever! You can see more from the shoot here on Joy’s blog. everything is perfect = perfect and sweet – i love it all to pieces – they r adorable! 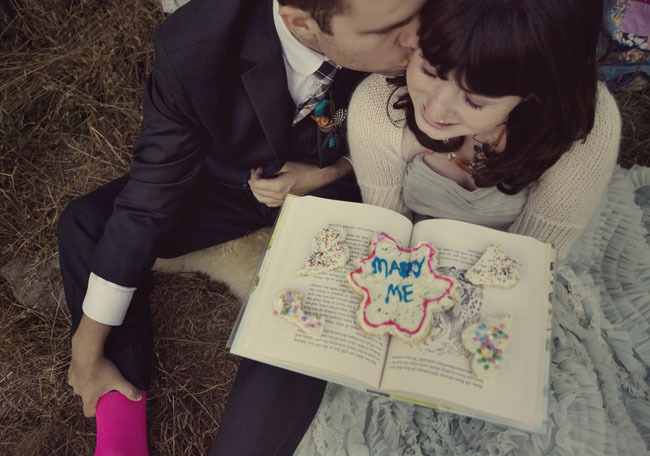 These engagement photos are beyond adorable and sweet! I am in love with her frothy confection of a dress! the hot pink socks are totally rad. 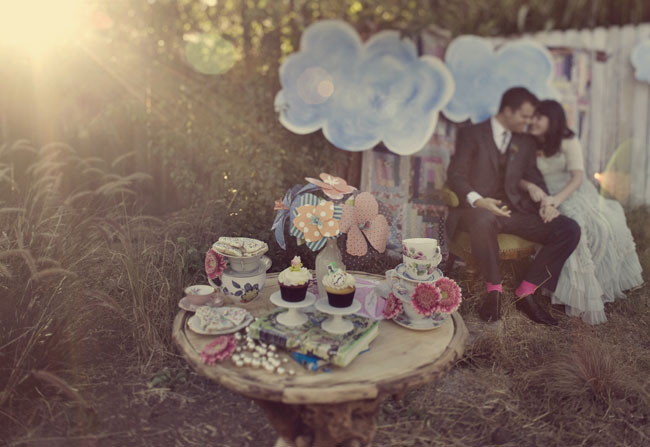 Love this whimsical love shoot!! 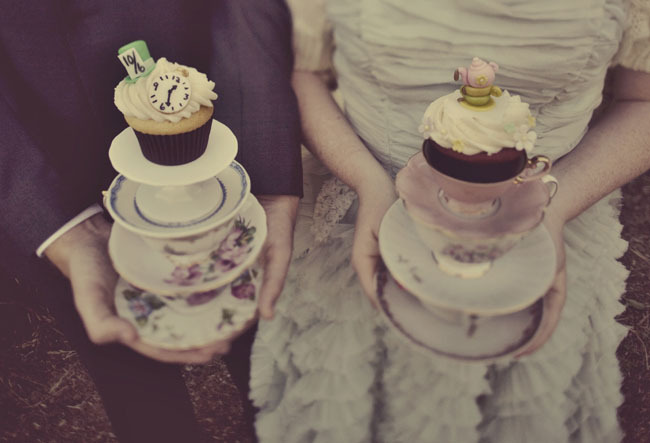 I’m in love w/ everything…tea cups..dress..how cute is that boutonnière. Goodness this is shoot is magical! 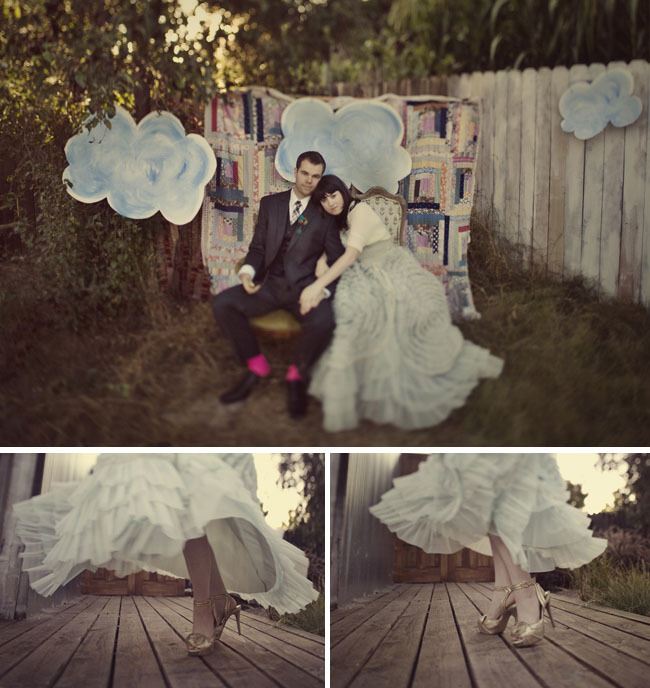 Her dress is seriously dream-like; and, those clouds are inspiring – going home to [think of an excuse to] make my own! Oh my gosh!!! love it so much. i NEED that dress!!! I LOVE those pink flowers? Can anyone tell me what kind they are? I blogged about YOU today! LOVE your work! An absolutely adorable wedding shoot. 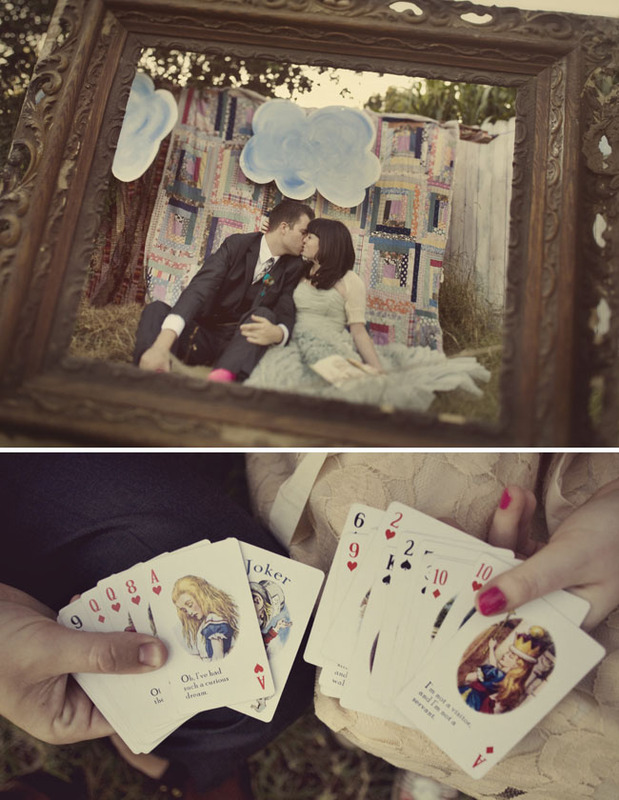 I just love how all the elements come together to make a fun and beautiful shoot full of photos to remember. The dress is fabulous! 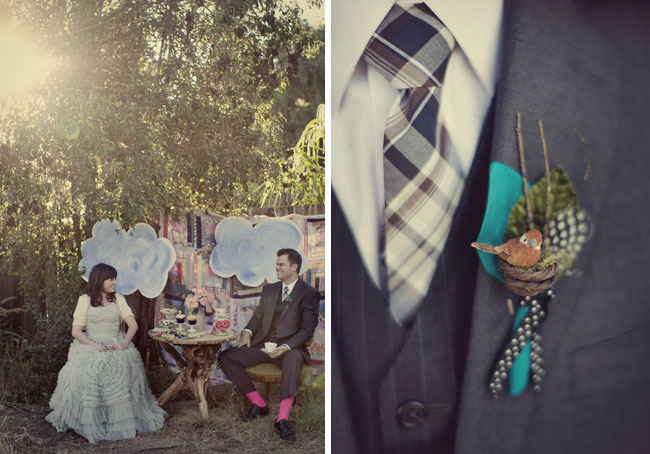 I love Love LOVE the buttonhole… it is tooo cute! I would love to do an engagement shoot with this many props! What an event!! So adorable! my 2 fave things! 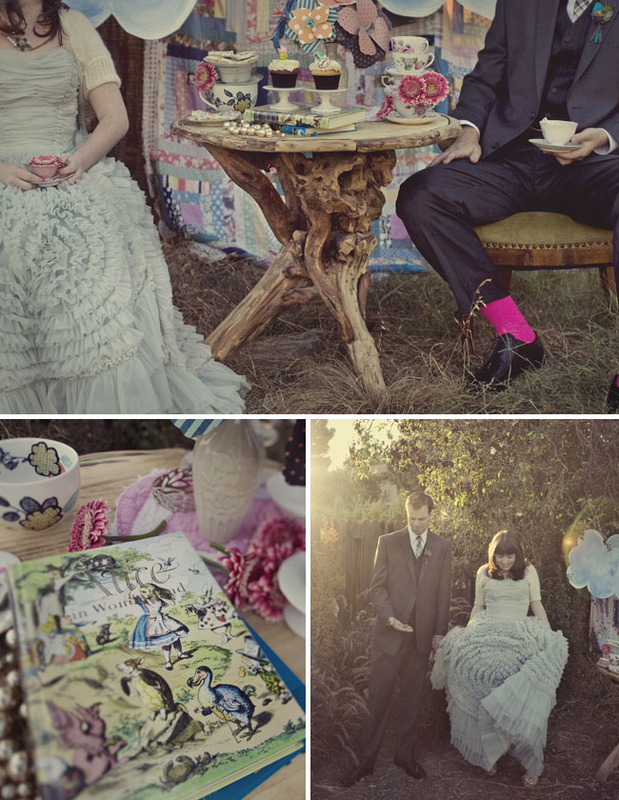 Alice and Wonderland and Wedding Photography! Just 1 question that would be…where did they find that birdy boutinere? its tre adorable! i love where her inspiration came from! so personal and meaningful… and made such an awesome shoot! photographer or bride can tell me what fabric those are made of? that would tell me? Let me know if you can help! Thanks!